Our spine is made up of over 30 vertebrae and houses the spinal cord. It is responsible for keeping us upright, giving us the ability to walk, run, bend over and generally move around the world we live in unhindered. In any accident or injury, the spine is treated with the utmost care to prevent further damage and a huge amount of care is taken when moving or transporting these patients. If anything does go wrong with your spine or if, over time, your vertebra doesn’t behave the way it should, sometimes surgery might be needed to correct any issues with your spinal column. As surgery progresses, more and more surgeries have less painful alternatives, like laparoscopic or laser surgery. Laser disc surgery is one such example. What is Laser Disc Surgery? Laser disc surgery is performed on patients suffering from a slipped vertebral disc. The surgery is very new and there hasn’t been a lot of research on the procedure yet. The National Institute for Health and Clinical Excellence in the UK has performed some detailed studies on the treatment and has found that laser disc surgery can be used for treating slipped disc problems, but advises that doctors should always make patients known that doctors have not proven how effective it is or how safe it is. Laser disc surgery is performed by a back surgeon and is done if the outer cover of the vertebral disc is stretched. During the operation, the surgeon places a needle into your spine and into the disc that needs repair. Using a high-energy light laser, he carefully destroys the centre of the disc which will relieve some of the pain caused by the slipped disc pressing on nerves in your back. The goal of this surgery is to make the disc into a natural shape instead of the stretched shape it has become. Laser disc surgery is done as a minimally invasive procedure and this means the recovery time is much quicker than with traditional disc surgery. 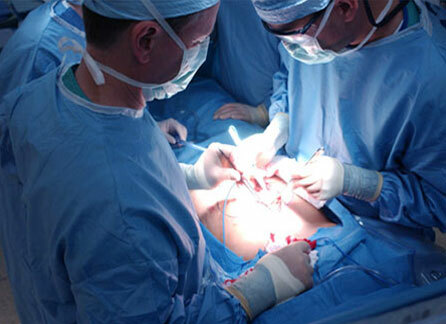 Because the surgery is so new, the NHS doesn’t always offer it as an alternative to new surgery, however the National Institute for Health and Clinical Excellence has recommended that the NHS offer it provided all of the possible complications and the unconfirmed nature of results using this procedure are explained clearly to the patient. The costs vary greatly and as it is such a new procedure, often you will need to consult with more than one surgeon before you find one that is willing to do the operation for you over the more traditional treatments for slipped vertebral discs. Laser disc surgery is done under general anaesthetic but it is unlikely that following the operation you will need to stay in hospital overnight. Often the procedure is performed on an outpatient basis. It is recommended that someone drive you to and collect you from the hospital for this operation as driving is not recommended for up to 4 weeks after the laser disc surgery procedure.